A former employee of Credit Suisse bank has pleaded guilty to conspiring to defraud the United States. Susanne D. Rüegg Meier admitted to a tax scheme that allowed U.S. taxpayers to hide their assets in Swiss bank accounts. The plea agreement states that Credit Suisse went to great lengths to assist their clients in evading their U.S. tax obligations, including reporting their foreign income on their tax return and filing accurate FBARs. Credit Suisse already pleaded guilty in 2014 to conspiring to aid and assist taxpayers in filing false tax returns, and has agreed to pay fines and restitution of $2 billion. Meier faces a maximum of five years in prison, along with restitution and monetary penalties. Taxpayers who have undisclosed foreign accounts at Credit Suisse and other “bad banks” face a steep 50% penalty if they wish to use the offshore voluntary disclosure program (OVDP) to come clean about their foreign financial interest. Other taxpayers who wish to used OVDP face a 27.5% penalty. 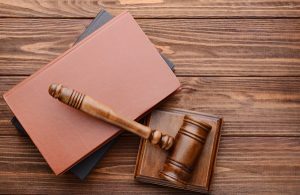 While these penalties can be very costly, they are certainly preferable to faces civil or even criminal penalties for the failure to file FBARs and report foreign income. Even non-willful FBAR violations have serious consequences, with penalties of $12,459 per violation, with each account and each tax year being considered a separate violation. The civil willful penalties can run 100% of the highest account balance under current IRS guidelines. The list of bad banks will only continue to grow, and taxpayers can also be examined individually for FBAR violations. Once a taxpayer is under examination, they are no longer eligible to use the voluntary disclosure programs, so it’s better to act quickly if you have concerns about your unreported foreign accounts. For more information, contact a tax controversy attorney with experience handling FBAR violations and voluntary disclosure, or download our free special report, Nine Questions You Should Be Asking About the IRS Streamlined Filing Compliance Procedure for Unreported Foreign Accounts.